I'm building since 2006 scale models (actually since my childhood but since 2006 i'm building more serious things). 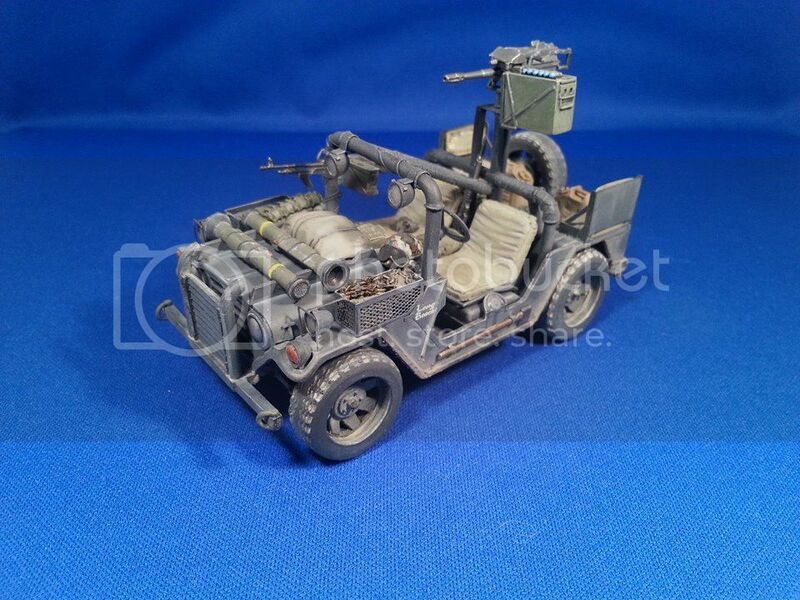 I was startet with scale 1/87 vehicles (Roco minitanks, resin models). I decided 3 years back to buy an airbrush and since then i also build airplanes (I'm a huge Phantom fan). 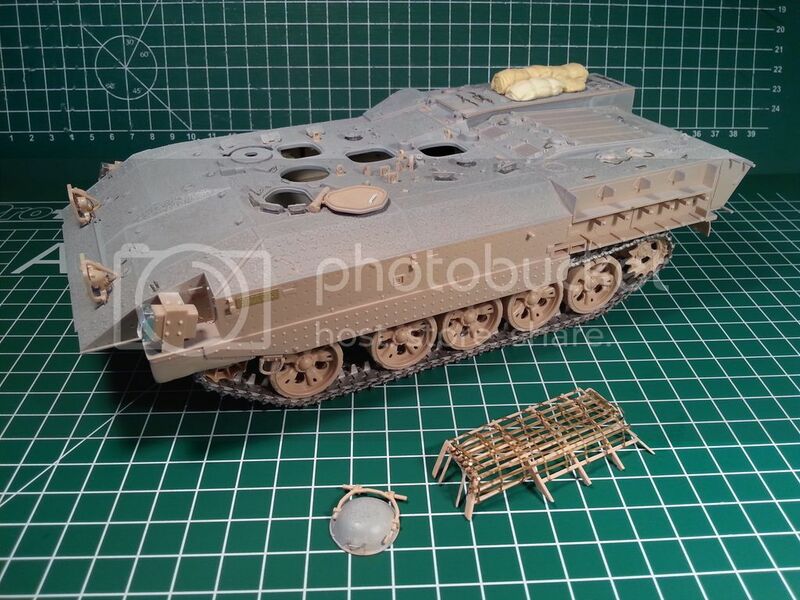 Since a couple of months i decided also to build 1/35 vehicles. 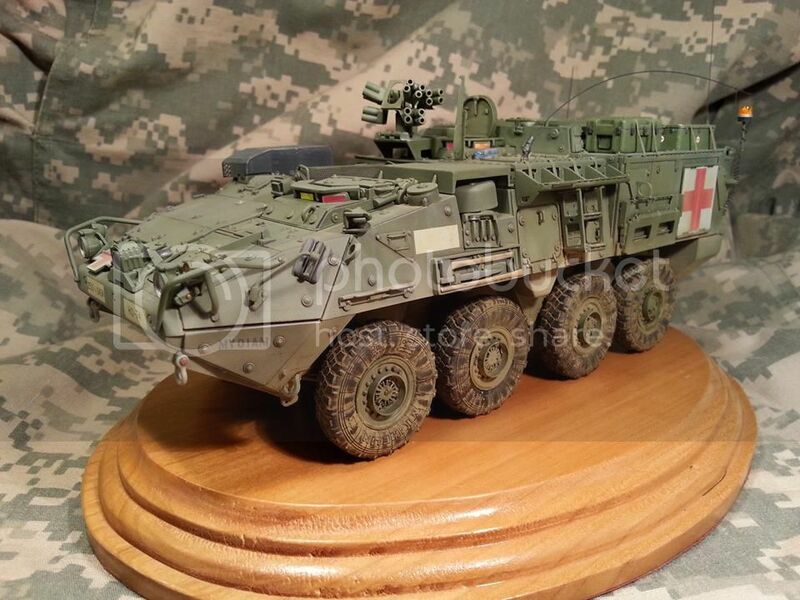 I have allready build a M1133 Stryker Ambulance, M151 Fast attack vehicle and at the moment i'm busy with the great Meng Achzarit Alef. Here some photo's from my recent works.